Dramatic Weight Loss Centers, LLC (“Dramatic Weight Loss®”) may change these Terms and Conditions at any time and in its sole discretion. The modified Terms and Conditions will be effective immediately upon posting and you agree to the new posted Terms and Conditions by continuing your use of the site. You are responsible for staying informed of any changes. If you do not agree with the modified Terms and Conditions, your only remedy is to discontinue using the site. The site is a comprehensive weight loss website designed to teach you certain skills to lose weight and maintain your weight loss. Nothing contained on the site is intended to be instructional for medical diagnosis or treatment. You may not use a Dramatic Weight Loss® program if you are (a) pregnant, (b) nursing, (c) under 18 years of age, (d) anorexic or bulimic, (e) allergic to peanuts, or (f) if you use injectable insulin. Please consult your physician before beginning a Dramatic Weight Loss® program, or any other weight loss program. If there is a change in your medical condition, you must immediately notify your consultant. It is important to note that medical studies indicate that people 20 percent or more above their ideal weight are at increased risk of many illnesses or diseases, including coronary heart disease, heart attacks, diabetes, increased cholesterol levels, high blood pressure, strokes, gallbladder disease, kidney disease, neurological disorders, gout, osteoarthritis, and certain types of cancer. It is also important to be aware of certain risks that have been associated with weight loss. Any weight loss program may cause constipation, muscle cramps, diarrhea, dizziness, dry or cold skin, fatigue, gout, hair loss, headaches, loss of lean body mass, irregular or stopping of menstruation, reduced tolerance to cold, as well as other possible side effects. Please be sure to follow the recommended protocol on the Dramatic Weight Loss® program precisely. Failure to follow the program protocol recommended may involve the risk of developing serious health complications. When you sign up to use the site and create an account, you will be asked to create a password. You are entirely responsible for maintaining the confidentiality of your password. And you are entirely responsible for all activity made by you or anyone you allow to use your account. You agree to safeguard your account password from access by others. You agree to indemnify and hold harmless Dramatic Weight Loss® for losses incurred by Dramatic Weight Loss® or another party due to someone else using your account or password as a result of your failure to use reasonable care to safeguard your account. Dramatic Weight Loss® is not responsible for, and does not endorse, content in any posting made by other users on the site. You are solely responsible for your reliance on anything posted by another member on the site. Under no circumstances shall Dramatic Weight Loss® be held liable, directly or indirectly, for any loss or damage caused or alleged to have been caused to you in connection with the use of or reliance of any content posted by a third party on the site. If you become aware of misuse of the Website by any person, please contact Dramatic Weight Loss® or click on the “Report Inappropriate Content” link at the bottom of any page on the site. If you feel threatened or believe someone else is in danger, you should contact your local law enforcement agency immediately. You should contact your doctor before following any diet or exercise advice posted by any member on the site. • Edit or delete any communications posted on the site, regardless of whether such communications violate these standards. The entire contents of the site are copyrighted as a collective work under the laws of United States and other copyright laws. Dramatic Weight Loss® (and/or its affiliates) holds the copyright in the collective work. The collective work includes works which may be property of other members. You may display and, subject to any expressly stated restrictions or limitations relating to specific material, download portions of the material from the different areas of the site solely for your own non-commercial use, unless otherwise permitted (e.g., in the case of electronic coupons, etc). Any redistribution, retransmission or publication of any copyrighted material is strictly prohibited without the express written consent of the copyright owner. You agree not to change or delete any proprietary notices from materials downloaded from the site. • Identification of the copyrighted work that you believe to be infringed. Please describe the work, and where possible, include a copy or the location (e.g., URL) of an authorized version of the work. • A signature or the electronic equivalent from the copyright holder or authorized representative.Send this information by mail to Dramatic Weight Loss®: 4480 North Shallowford Rd., Ste. 206, Dunwoody, GA 30338 ATTN: Director, Legal Administration or by e-mail to info@dramaticweightloss.com. In an effort to protect the rights of copyright owners, Dramatic Weight Loss® maintains a policy for the termination, in appropriate circumstances, of subscribers and account holders of the site who are repeat infringers. These Terms and Conditions shall be governed by and construed in accordance with the laws of the State of Georgia, without regard to its conflict of laws rules. You expressly agree that the exclusive jurisdiction for any claim or dispute under the Terms and Conditions and or your use of the Site resides in the courts located in the State of Georgia, and you further expressly agree to submit to the personal jurisdiction of such courts for the purpose of litigating any such claim or action. 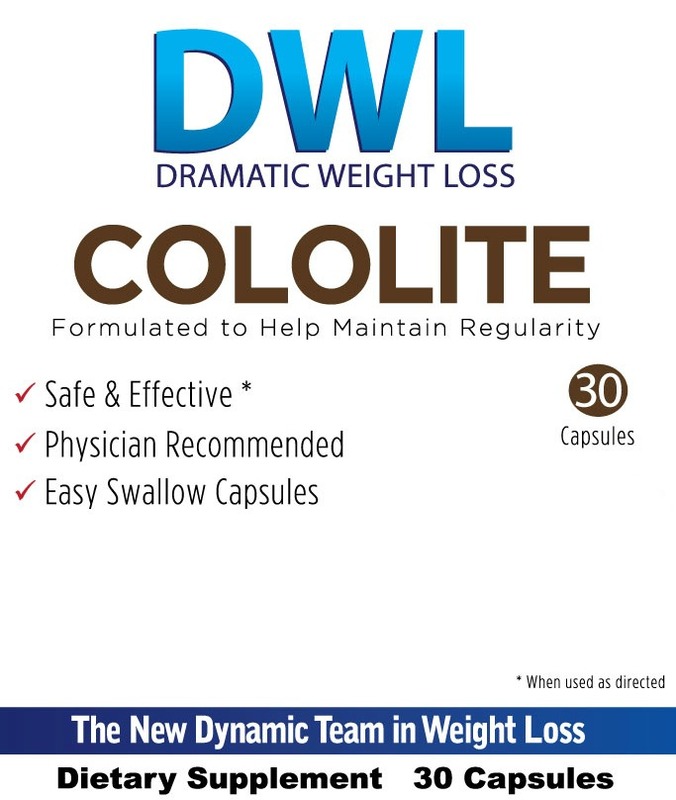 TO THE FULLEST EXTENT PERMITTED BY LAW, DRAMATIC WEIGHT LOSS®, ITS LICENSORS, AND ITS SUPPLIERS, DISCLAIM ALL WARRANTIES, EITHER, EXPRESS OR IMPLIED, STATUTORY OR OTHERWISE, INCLUDING BUT NOT LIMITED TO THE IMPLIED WARRANTIES OF MERCHANTABILITY, NON-INFRINGEMENT OF THIRD PARTIES’ RIGHTS, AND FITNESS FOR PARTICULAR PURPOSE. Dramatic Weight Loss® makes no warranty as to the reliability, accuracy, timeliness, usefulness, adequacy, completeness or suitability of the site. Dramatic Weight Loss® cannot and does not warrant against human and machine errors, omissions, delays, interruptions or losses, including loss of data. Dramatic Weight Loss® cannot and does not guarantee or warrant that files available for downloading from this site will be free of infection by viruses, worms, Trojan horses, or other codes that manifest contaminating or destructive properties. Dramatic Weight Loss® cannot and does not guarantee or warrant that any content you post on the site will remain on the site. Dramatic Weight Loss® does not warrant or guarantee that the functions or services performed on the site will be uninterrupted or error-free or that defects in the site will be corrected. DRAMATIC WEIGHT LOSS’® ENTIRE LIABILITY AND YOUR EXCLUSIVE REMEDY WITH RESPECT TO ANY DISPUTE WITH DRAMATIC WEIGHT LOSS® IS TO DISCONTINUE YOUR USE OF THE SITE. DRAMATIC WEIGHT LOSS® AND ITS VENDORS SHALL NOT BE LIABLE FOR ANY INDIRECT, SPECIAL, INCIDENTAL, CONSEQUENTIAL OR EXEMPLARY DAMAGE ARISING FROM YOUR USE OF THE SITE OR FOR ANY OTHER CLAIM RELATED IN ANY WAY TO YOUR USE OF THE SITE. THESE EXCLUSIONS FOR INDIRECT, SPECIAL, INCIDENTAL, CONSEQUENTIAL OR EXEMPLARY DAMAGES INCLUDE, WITHOUT LIMITATION, DAMAGES FOR HEALTH-RELATED ISSUES, LOST PROFITS, LOST DATA, LOSS OF GOODWILL, WORK STOPPAGE, COMPUTER FAILURE OR MALFUNCTION, OR ANY OTHER COMMERCIAL DAMAGES OR LOSSES, EVEN IF DRAMATIC WEIGHT LOSS® HAD BEEN ADVISED OF THE POSSIBILITY THEREOF AND REGARDLESS OF THE LEGAL OR EQUITABLE THEORY UPON WHICH THE CLAIM IS BASED. BECAUSE SOME STATES OR JURISDICTIONS DO NOT ALLOW THE EXCLUSION OR THE LIMITATION OF LIABILITY FOR CONSEQUENTIAL OR INCIDENTAL DAMAGES, IN SUCH STATES OR JURISDICTIONS, DRAMATIC WEIGHT LOSS’® AND ITS VENDORS’ LIABILITY SHALL BE LIMITED TO THE EXTENT PERMITTED BY LAW. You agree to indemnify, defend, and hold Dramatic Weight Loss®, its officers, directors, employees, agents, licensors, and suppliers, harmless from and against any claims, actions or demands, liabilities and settlements including without limitation, reasonable legal and accounting fees, resulting from, or alleged to result from, your violation of these Terms and Conditions. Although Dramatic Weight Loss® takes every reasonable measure to have sufficient inventory to fill your order, availability of product(s) may change without notice. Dramatic Weight Loss® is not responsible for unavailability of product due to popular demand, whether discontinued or still in production. In the completion of orders, Dramatic Weight Loss® reserves the right to substitute a similar product. When making substitutions, Dramatic Weight Loss® takes great care to meet the requirements of your particular Dramatic Weight Loss® program. When you place an order on our site, we collect your name, e-mail address, mailing address, credit card number, and expiration date. When you register for membership on our site, we also collect your basic health profile information when you actively give us such information. The information we collect when you place an order or register for membership on our site allows us to process and fulfill your order and to notify you of your order status. We also use this information to occasionally notify you about important functionality changes to the web site, new Dramatic Weight Loss® services, and special offers we think you’ll find valuable. Health and age information allows Dramatic Weight Loss® to evaluate your self-reported health status to determine basic program eligibility. You will be notified at registration if your profile excludes you from participation in the plan. We may use the personal information we collect from you for any of the following purposes: (1) to fulfill your requests for products and services; (2) to provide you with offers (3) to contact you when necessary; (4) to review site usage and operations; (5) to address problems with the site, our business or our products and services; and (6) to protect the security or integrity of the site and our business. Your information may be shared with reputable third party associates of Dramatic Weight Loss® unless you have expressly asked us not to, the law requires it, or to protect the rights or property of Dramatic Weight Loss®. Dramatic Weight Loss® does not share payment information with third parties. Dramatic Weight Loss® periodically asks members to participate in online surveys or fill out online questionnaires concerning topics such as the effectiveness of the weight loss program, advertising effectiveness and customer satisfaction. All surveys and questionnaires are optional and the information collected will not be associated with any user’s personal information. Information gathered may be shared with third parties in order to improve customer satisfaction and program effectiveness. No personal information of any user will be connected to survey or questionnaire results. When you register, we gather web traffic information via “cookies.” Cookies are small pieces of digital information stored by your browser on your computer and tracks initial and returning visits, browsing patterns on our site, and products ordered or viewed. Our cookies do not contain personally identifying information, but they enable us to identify you as a repeat visitor and help us personalize your www.dramaticweightloss.com experience. You need to have cookies enabled on your computer in order to use our site. Dramatic Weight Loss®, or third parties engaged by us, may use web beacons on some pages of this site. A web beacon (also known as a pixel tag or clear GIF) is a graphic image which is used to better understand the browsing patterns of visitors to the page. When the HTML code for the web beacon points to a site to retrieve the pixel image, information can be passed along such as the IP address of the computer that requested the image, the time the web beacon was viewed and for how long, the type of browser that was used, and previously set cookie values. Web beacons DO NOT pass or read personally identifiable information about you. Web beacons work in conjunction with cookies set by trusted third parties that are used to assess the effectiveness of particular promotional campaigns or to optimize advertising once a user leaves a website. View your browser’s help section to determine how to configure your browser to reject or manage first party (i.e., Dramatic Weight Loss®) and/or third party cookies. Dramatic Weight Loss® shares aggregated information collected through web beacons to vendors for which the beacon was set to determine the success of marketing campaigns, but does not disclose personally identifying information to these vendors. HOW DOES DRAMATIC WEIGHT LOSS® PROTECT CUSTOMER INFORMATION? Protecting your information is important to us. We use the industry standard technology to protect the security of your information. We have taken certain physical, electronic, contractual and managerial steps designed to safeguard the information we collect from you. Unfortunately, no data transaction over the Internet can be guaranteed to be 100% secure. HOW DOES DRAMATIC WEIGHT LOSS® USE THIRD PARTY INFORMATION IT COLLECTS? From time to time, we collect third party email addresses or other contact information from our users and customers so that we may send information to their friends and family on an as-requested basis. WILL DRAMATIC WEIGHT LOSS® DISCLOSE THE INFORMATION IT COLLECTS TO OUTSIDE PARTIES? Dramatic Weight Loss® shares information with third party intermediaries for shipping and billing purposes and with other third party intermediaries that provide a service for Dramatic Weight Loss® to help us operate our business and the Site or administer activities on our behalf. These companies do not retain personal information or share it with any other parties. These companies may include Cybercash, United Parcel Service, Federal Express, Visa, MasterCard, Discover, and American Express and others. Dramatic Weight Loss® may provide aggregate statistics about our customers, sales, traffic patterns, and related site information to reputable third-party vendors. In addition, from time to time, we may make customer e-mail addresses, postal addresses and telephone numbers available to other reputable business associates whose products or services might be of value to you. If you do not want us to share your information with other companies or organizations, please let us know by calling us at 770-394-9991or writing to us at Customer Service, Dramatic Weight Loss Centers, LLC, 4480 North Shallowford Rd., Ste. 206, Dunwoody, GA 30338. Dramatic Weight Loss® may also disclose your personal information to third parties in certain limited circumstances, as follows: (1) as necessary if we believe that there has been a violation of our site Terms and Conditions, of the law, of our rights or of the rights of any third party; (2) to respond to judicial process and provide information to law enforcement agencies or in connection with an investigation on matters related to public safety, as permitted by law, or otherwise as required by law; and (3) if our company or substantially all of its assets are acquired, your personal information may be one of the transferred assets. (4) If you have given permission for us to share your account information with other members of your household. Dramatic Weight Loss® only allows the participation of persons 18 years and older. For parents interested in helping children lose weight, please consult a physician. By using our website(s), telephone consultation, or mailing in requests for information you consent to the collection and use of your information by Dramatic Weight Loss®. If at some point in the future, there is a material change to our information usage practices that affect your personally identifiable information, we will notify you by e-mail. At the time of this message, you will be able to opt-out of the new information usage by sending a message to the following e-mail: info@dramaticweightloss.com. You should check this posted privacy statement for changes. If a user wishes to subscribe to our newsletter, we ask only for an individual’s email address. Out of respect for our users’ privacy we provide a way to opt-out of these communications. To unsubscribe from the Dramatic Weight Loss® newsletter, send us an e-mail to info@dramaticweightloss.com with the subject UNSUBSCRIBE. To make changes to any of your personal information, including name, username, password, shipping address, and telephone number, you can click in the My Account section of the Dramatic Weight Loss® web site or call Dramatic Weight Loss® at 770-394-9991. Household members may not make changes to your account information, or cancel or renew your account without your express permission. If you have not already indicated your permission for household members to access your account at the time you placed your first order, please call 770-394-9991. SHIPPING: Dramatic Weight Loss® offers FedEx shipping on all orders. We typically ship orders on the same day if received by 10 am Eastern Standard Time Monday – Friday. Orders made after 10 am will be shipped the following business day. Orders placed on Friday after 10 am, over the weekend, or during a holiday will be shipped the following Tuesday. Please Note: Orders may take 3 to 5 business days to receive and can not be delivered to a P.O. Box. Dramatic Weight Loss® will only refund unopened and unused items regardless of price paid. Returns will not be accepted without a Return Authorization Number (RA). To obtain a Return Authorization (RA) number please contact Dramatic Weight Loss®. A Return Authorization (RA) number must be requested within 14 days of purchase. Once a Return Authorization (RA) number has been issued, items must be returned within 14 days of issue date. Shipping and handling charges are non-refundable. Once items have been received by Dramatic Weight Loss® a refund check will be issued within 3 to 5 business days. Please Note: Orders marked as return to sender will not be credited back. Once orders have been placed changes can not be made. Dramatic Weight Loss® welcomes your questions and comments about privacy. Please send e-mail to: info@dramaticweightloss.com, or send us a note at: Dramatic Weight Loss Centers, LLC, 4480 North Shallowford Rd., Ste. 206, Dunwoody, GA 30338.